Oxford Dictionary includes 2000 New Words - Tweetup, Chillax, Netbook, Vuvuzela and Paywall makes a Cut ! There is good news for not so geekish readers out there! 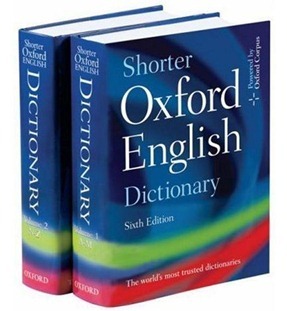 Yesterday, the Oxford Dictionary came out with its 3rd edition with 2000 new words, including a range of widely used Internet-related terms and various other jargons. The contemporary world of internet and mobile messages has changed the way the languages have been used by the newer generation. In fact, these two mediums have seen evolution of a whole new set of popular jargons and abbreviations, which are now slowly but surely being endorsed by the venerable Oxford English Dictionary (OED). Moreover, the process of development of some of these web terminologies is at such a breakneck speed that even some relatively newer version of the words are being left obsolete with the latest ones – take, for example, the term ‘surfing’ is dying down and has been ably replaced by the term ‘browsing’ on the web. Some of the new terminologies developed by the web communities on social networking sites, which have found its way to the official English lexicon are “Tweetup,” a combo-term for ‘tweet + meet up,’ used to describe meeting arranged through Twitter. ‘Micro-blogging,’ a web service that allows users to broadcast short messages to other subscribers of the service. One another web terminology that made a cut is “Paywall,” which blocks access to a website so that restricted content can be viewed only by paid-up subscribers. Well, how many of us use the term Netbook in our day-to-day life? But, officially, the term “Netbook” got its elite entry into the OED only recently. Believe it or not – even the “Vuvuzela,” the horn instrument which became the sound of the 2010 FIFA World Cup in South Africa, have now buzzed its way into the third and the latest edition of the OED. Unfortunately, on the other side of the approved list of words, lies a number of ‘non-words’ which failed to make it into the official English lexicon – such as “Furgling”(act of fumbling in your pocket for keys), “Wurfing” (surfing the internet at work), “Earworm” (a catchy tune that frequently gets stuck in your head) and “Nonversation” (a worthless conversation) among millions of other words.